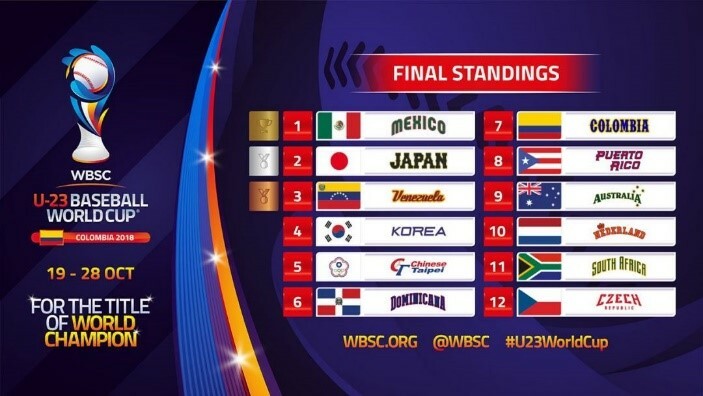 （WBSC　30/10/2018）The Under-23 Men’s National Baseball Team of Mexico captured the nation’s first-ever official baseball world championship October 28, Sunday night, defeating favourite and previously unbeaten Japan in the Final of the WBSC U-23 Baseball World Cup® 2018, before more than 7,000 fans at Estadio Edgar Renteria in Barranquilla, Colombia. Social media exploded across Mexican society, with celebrities, artists, writers, musicians, politicians, major news networks, journalists, athletes and clubs from other sports, and fans liking, retweeting and/or sending celebratory tweets in response to the Mexican U-23 National Baseball Team’s historic 2-1, 10-inning victory in Barranquilla. Mexico’s most important media outlets, including Diario Record, El Universal, ESPN Mx, Medio Tiempo, Multimedios Deportes, Televisa, and Univision, pushed news of the country’s historic win to millions of their social media followers and subscribers. WBSC President Riccardo Fraccari and Barranquilla mayor Alejandro Char were both in attendance for the WBSC U-23 Baseball World Cup Final and tweeted their congratulations. According to Twitter analytics, WBSC generated a 1,593.5% increase in social media impressions and a 1,795.0% increase in profile visits during the U-23 Baseball World Cup (reporting period 17-29 October).The announcement of the final game result is also one of WBSC’s most popular posts on Facebook, having generated over 10,000 shares and 48,517 likes across all shares (at the time of writing). It is anticipated that baseball will continue to rise in terms of popularity and talent in Mexico, with president-elect Andres Manuel Lopez Obrador pledging to promote the sport in the country. Mexico is currently ranked sixth in the WBSC Baseball World Rankings. 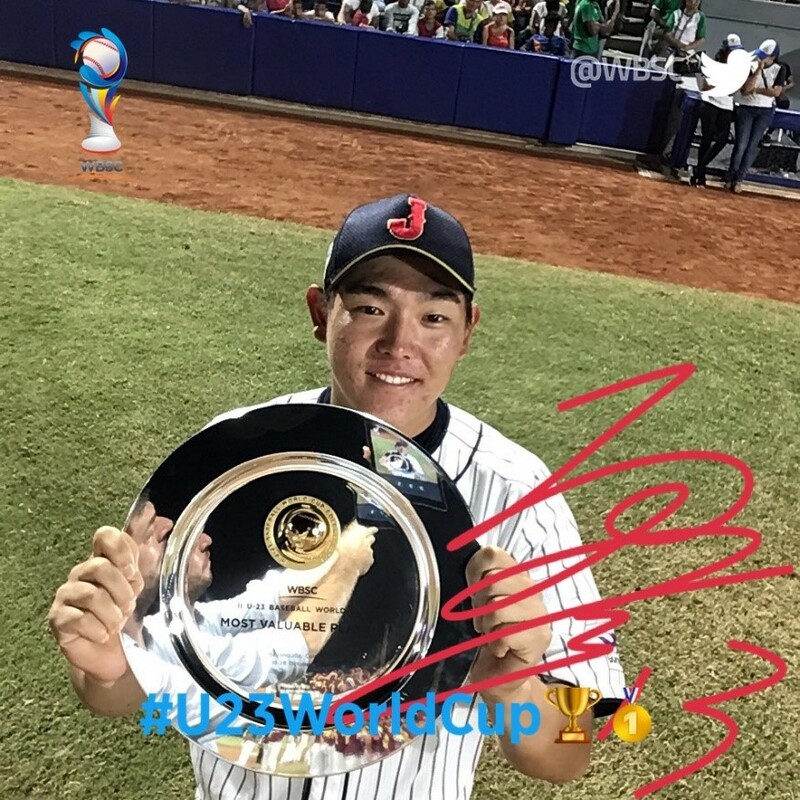 Following the conclusion of the World Championship Final between Mexico and the Japan, the World Baseball Softball Confederation revealed the WBSC U-23 Baseball World Cup® 2018 “All-World Team” headed by Japanese first baseman Hisanori Yasuda who earned the Most Valuable Player (MVP) title of the tournament.